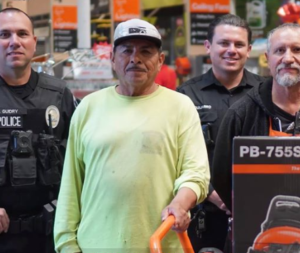 Thieves Steal Humble Gardener’s Equipment, But Cops Team Up To Make It Right. 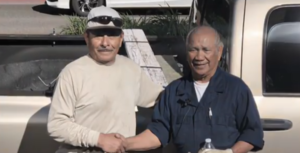 Adrian Salgado is a gardener who works in Santa Ana, California. 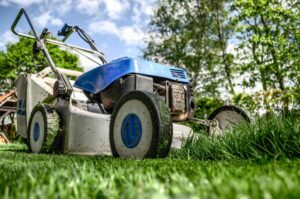 He is the sole provider for his family and as such, sees his Toyota pickup truck and landscaping equipment as more than just material possessions. They are what helps him keep a roof over his family’s heads and put food on his table. 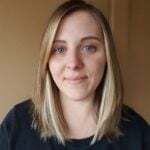 That’s what made it so devastating for Adrian when on March 27, two men stole his truck and equipment while he was working. The thieves also got away with his cell phone and $1,000 in cash, which had been left inside the vehicle. Adrian had saved up for months and planned to use the money for rent. 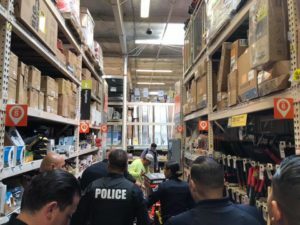 With help from Adrian’s daughter, Elizabeth, the Santa Ana Police Department managed to find the abandoned truck using her Find My iPhone app. They also caught the suspects in Westminster with $500 in each of their pockets. But the thieves said the money was theirs, so according to the law, the police could only enter the cash as evidence. An estimated $3,000 worth of equipment was still missing, too. 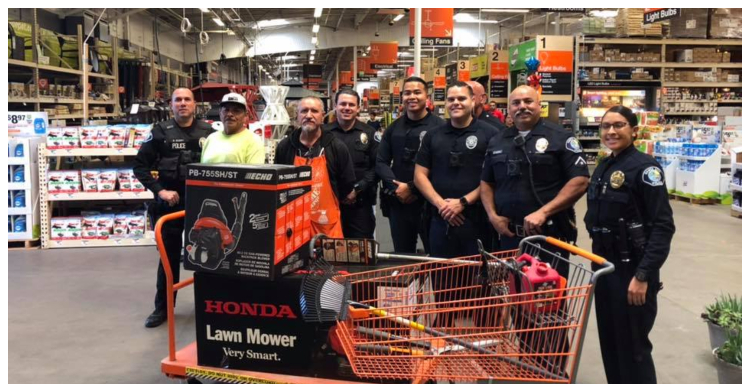 So, in an incredible act of kindness, the officers took it upon themselves to help the unfortunate man. 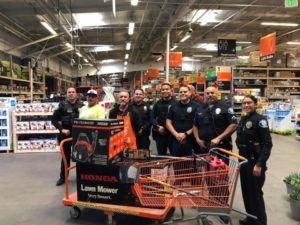 The officers all pitched in a total of $500, hoping to replace at least some of Adrian’s equipment. They also shared the man’s plight with the Santa Ana Police Officers Association, which donated another $500. 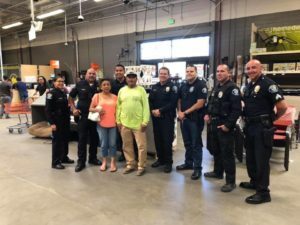 Then the officers went to Home Depot, where the company gave another $100 when they heard Adrian’s story. 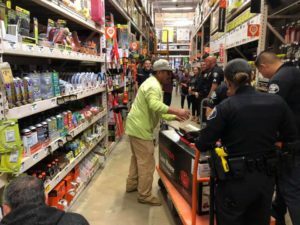 Some of the officers are reservists, so Home Depot offered military discounts as well. But if all that wasn’t generous enough, a shopper chipped in another $40 when they learned what the police were doing! Thanks to everyone who pitched in, Adrian got brand new replacements for what was taken from him. According to the police department, Adrian went straight back to work despite everything he’d been through. “Now I can see my dad with a smile because he can go back to work,” Elizabeth said. But the story wasn’t over just yet. A day after the theft, the grandfather of one of the suspects got in touch with the police department. Not only had he found the stolen equipment in his backyard, but he returned it to Adrian as well! What’s even better is that the police told Adrian he could keep the new tools. The gardener was grateful, to say the least. Though the theft never should have happened in the first place, this story couldn’t have had a better ending. Thank you officers, for making sure Adrian has the tools he needs to support his family. You really went above and beyond! 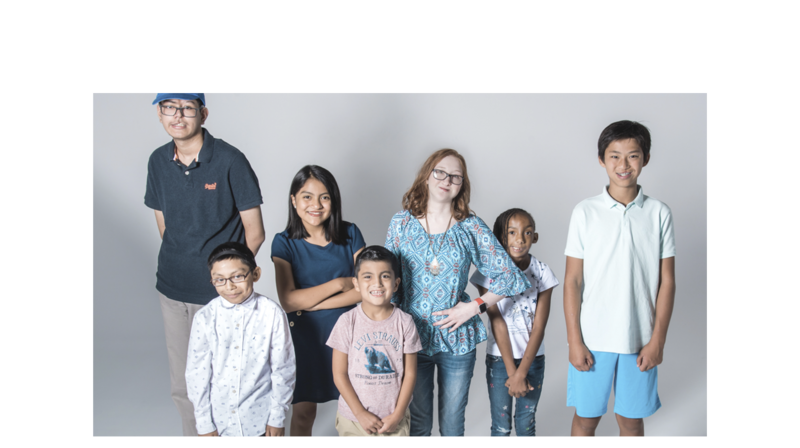 Share this story to spread thanks to everyone who helped Adrian in his time of need.